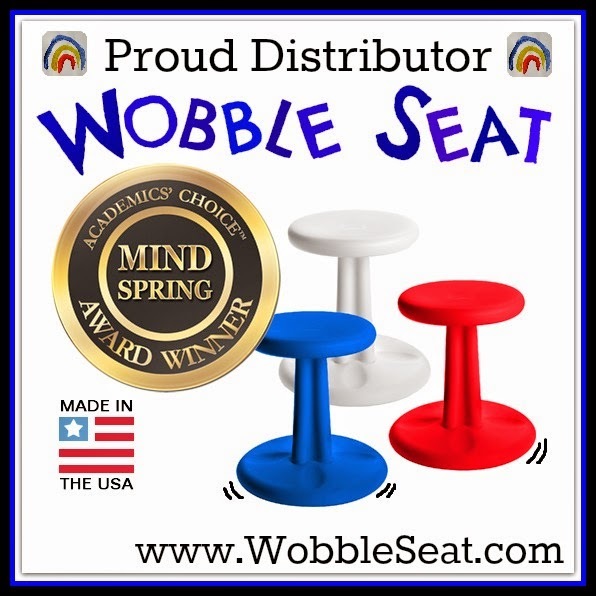 Great to have you visiting my monthly blog. 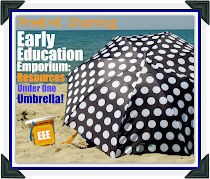 A big thank you to Debbie Clement for her continued efforts in making this collaborative blog an ongoing reality along with our new resource center, the Early Education Emporium. 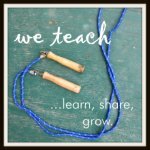 Finally, a HUGE thank you to the parents of the preschool children and Sandy, the Lead Teacher, at Benson Head Start Center in Benson, Arizona, for giving me permission to use the following images. Engage the men in the lives of the children served by her preschool center. Document the care, love, and guidance of these men. 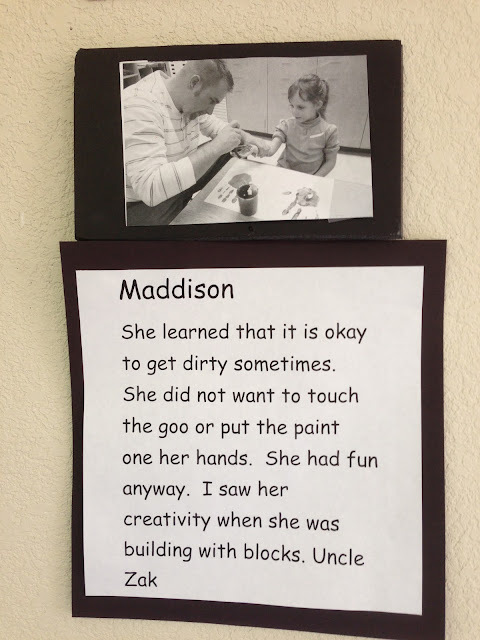 In this first image, the fact that a preschool center is engaging both child and dad in the early childhood environment is fantastic. 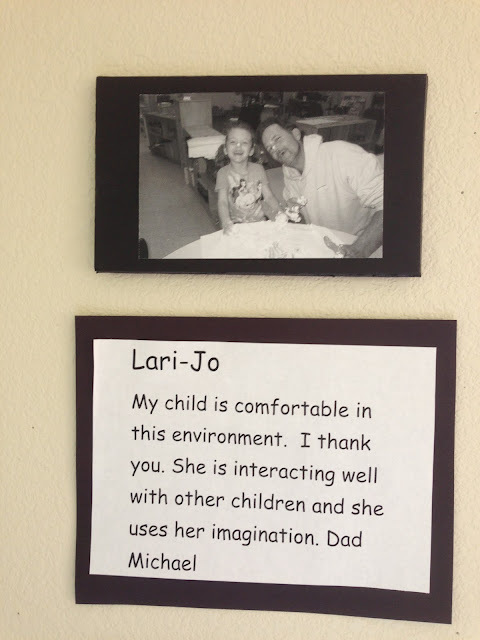 To see that the dad understands the importance of social interaction and imagination is jaw-dropping! Way to go Michael! Having the opportunity this year, and for the two years of working/playing with these children is an honor for me. 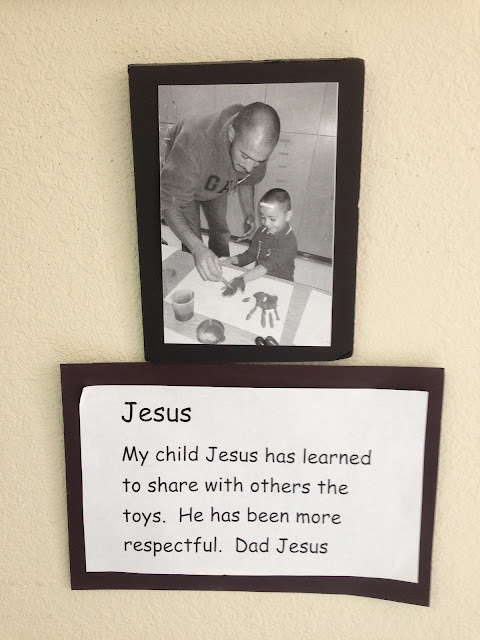 To see Jesus and his dad creating and playing together, along with dad's comments, lets me know dad sees the importance of play and how it can connect to learning many things, including respect. Some male role models are grandfathers. Grandpa looks happy. Harmony looks happy. Research shows we learn a lot more when we're happy. Way to go Grandpa Bob! The joy on Hau's face is evident as he watches his son Brandon finger paint. This kind of simple interaction speaks to the importance of engaging a young child's energy to create a sense of safety and community. When community is built organically like this, the learner will risk to create more and more. This kind of routine in a child's life is empowering and life changing. Thank you for taking time with your son Hau! This particular Head Start center takes the time to plan days for the dads/grandpas to visit and interact. In addition, this center takes the time to beautifully display the images I'm sharing with you. When parents come into this center they feel honored and this impacts their perspective related to their children's early education. These images let the parents know "they matter deeply." The dad in this image learned what Deagon learned....that a fun school is a productive school. Thanks you Eric for being the definition of a "man" and spending time with your son! Zak took notice of Maddison's creativity. This is such a huge issue. When adults really take the time to understand what "Child's Play" is, something clicks. When "Play" and "Creativity" is seen as connected to learning, which it is, we as adults tend to look at play with more patience. Congratulations Zak on being a great dad! The final image also revolves around creativity. Improvisation is a powerful bridge to creativity. Creativity, when combined with Critical Thinking, is a life skill that is necessary for internal and external success. When Cody, says "I learned that Adrian is creative" that speaks volume. 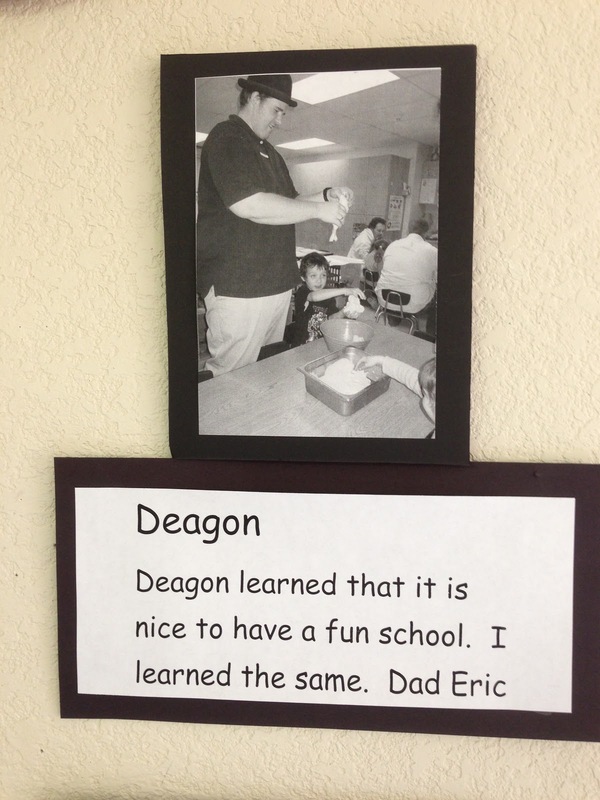 Dad is seeing son as a young child who can create and has something to share. This ability to see your own son in an affirming way is truly inspiring. Thanks for taking the time to notice Cody...great job! 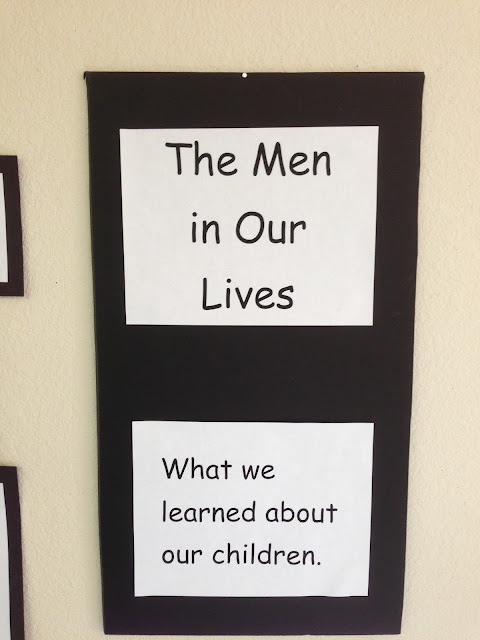 A HUGE APPLAUSE FOR THE MEN IN THE LIVES OF YOUNG CHILDREN!!! Pinned! Wonderful idea. Men in pre and elementary schools can easily be left out, so this is helpful. Rogers Elementary in MN has a "watchdogs" day where dads visit the school and so many classes have an opportunity to see men in the school. So nice for so many children. Thanks! Science for Kids: Honey bees, Flowers & Freebies! Here come the trains ... let's book & boogie! This Is A Child On Music! Spring is Here! Spring Art Projects! !